Get ready! We’ve got a new experience to tell you about that you can enjoy on your next visit to Walt Disney World. I was recently invited to try out the Character Couture makeover which is now available at 4 different location at Disney. It was so much fun getting a princess inspired look and walking around the parks like royalty! If ever there was time to get a makeover, your Disney vacation would be the ideal place to make that happen! Where Can I Get a Character Couture Makeover? Things to think about when booking: If you’re booking during the hot summer months you might consider having your makeover done at a location near the park you’re going to be visiting that day. Don’t forget how often it rains during the summer months too, come prepared. You don’t want your new look to get washed away! What Are Packages Are Offered for the Character Couture Makeover? This includes Classic Character Inspired Hairstyle. The hair is the the best part of the experience. The stylists are so creative and they are able to work with all hair types and lengths! This includes Classic Character Inspired Hairstyle and Makeup. If you’re looking for an upgraded look that will include makeup, then this would be the package for you. Keep in mind when they say makeup they are focusing on eyes and lips only. It’s a good idea to bring along any other makeup you might need. False lashes are included. This includes Classic Character Inspired Hairstyle, Makeup, and Nails. The upgrade on this package is Jamberry nail decal of your choice. What Character Options Do They Offer? Disney Parks Blog states this “Character styles include princess, villains, fab five, “galactic” styles and “hero/heroine” styles.”. For my makeover I was Rapunzel (chosen by my 5-year-old). I went with several others who were characters such as Woody, Buzz, Snow White, Cinderella, Belle, Moana, Ursula, and Gaston. The stylists are great at being creative and working with you on your desired look. Something to remember is that these are couture makeovers. The stylist will work to create a customized look for you. Every person who comes in and requests a Belle makeover will all come out looking a little different which is part of what makes this experience so unique. • It’s important that you arrive with clean hair that’s ready to be styled. • These makeovers take place at Salons, there will be a place for you to store your stuff and all the amenities that Salons normally have. • Feel free to bring along any items that you will need to complete your look. For my Rapunzel makeover they’d run out of flowers, so they used color extensions instead. Several in our group brought items for their hair to complete their look. • You will want to change into your outfit before your makeover. Guess what you get a 10% discount if you’re a Florida Resident! Also, Annual Pass-holders, Disney Vacation and Disney Cardholders all get 15% off! I’m planning to book an appointment on our next trip to Disney for my three girls and I to enjoy this experience together. 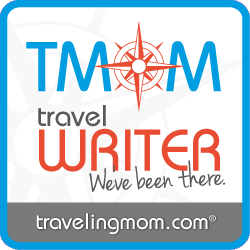 I also wrote about my experience here at TravelingMom.com. ← Is Post Toddler Depression A Thing? WOW, that looks like loads of fun.